Medicare Part “B” is different from bothPart “A” and from commercial insurance. Unlike Part “A” Medicare individuals pay a monthly premium for Medicare Part “B”. The individual receives in November or December from Medicare a notice of the monthly Part “B” premium for the next year. The individual’s gross social security check is reduced by this amount; the net amount is the number printed on the bank statement. Like commercial insurance Medicare Part “B” does not pay the provider 100 percent of what the provider has contracted with Medicare for an individual service (Medicare allowable). A Medicare beneficiary pays an annual part “B” deductible after which he pays 20 percent of the Medicare allowable forever. The maximum annual out-of-pocket that is part of commercial insurance policies is not a feature of Medicare Part “B”; the commercial insurance policy could be employer-based or individual. 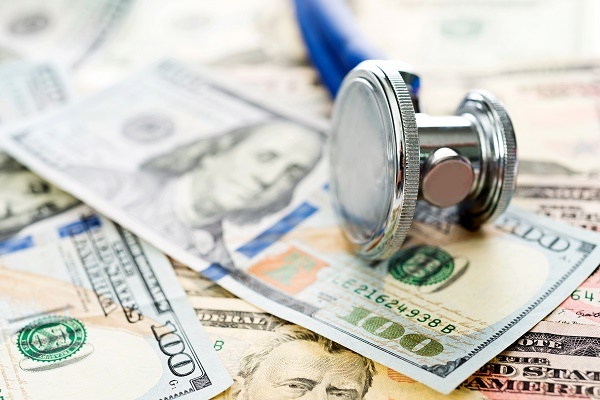 There is no annual maximum out-of-pocket of the individual’s responsibility for 20 percent of the Medicare allowable for services covered under Part “B”. Most Medicare beneficiaries have fixed incomes. For budgeting purposes people who can scrape together the dollars to purchase from a commercial insurer a Medicare part “B” supplement insurance do so; this type insurance policy is nicknamed ” Medigap”. The insured writes a personal check. Medigap comes in 6 benefit levels labeled A through F.
Plan F Medicare supplement pays the Part “A” deductible for each inpatient hospitalization, annual Part “B” deductible and the policy holder’s 20 percent co-pays for Medicare part “B” covered services. Part “B” services include physician care given in the hospital, office, or clinic; outpatient rehabilitation therapy, laboratory tests, radiology therapy. Durable medical equipment including home oxygen, walking assistance devices and CPAP equipment are part “B” services. Medications administered in a physician’s office or a hospital outpatient setting are part “B” services. Patient self-administered medications are not part “B” services. Services for patients staying in the hospital for “observation” are part “B” services. The care appears to be exactly that provided to the patient occupying the adjacent bed, but the finances are different. 1. The charges are itemized. 2.Medicare does not pay for eye drops, insulin or oral medicines. The institution will send a bill for charge master prices for these items. 3. These days often have not counted as the 3 days “hospitalization” needed to qualify for medically needed nursing home care; there has been political pressure recently to count those days toward the Medicare requirement for skilled care at a nursing home. Congress has passed legislation requiring a patient receiving observation services be notified within 24 hours of admission that he is an outpatient, not admitted to the hospital.